Yes - Transformers are indeed dangerous. Didn't we learn that in the first movie? There's something hidden in the new trailer for Michael Bay's latest Transformers sequel, Transformers: Age of Extinction, starring Mark Wahlberg. During the shooting of the film, various die-hard fans noticed some propaganda billboards around the set (see a photo here). Another one showed up early on in the first full teaser trailer for Age of Extinction (at 0:13 in) that says "Remember Chicago" and features a phone number. If you call, it plays a message about reporting alien activity and eventually points to the new site, where a poster spouting the Transformers Are Dangerous note can be seen. More to come in an upcoming TF viral? Very likely. Here's a shot of the billboard in the trailer early on - call the number (855-363-8392) and it links to the site. Visit the site TransformersAreDangerous.com and stay tuned for more updates on the movie. See the trailer. Michael Bay is again Transformers: Age of Extinction, from a screenplay by Ehren Kruger, as his last film in the blockbuster series before handing the franchise off to another director. In this one, a mechanic and his daughter make a discovery that brings down Autobots and Decepticons - and a paranoid government official - on them. Bay on the changes: "We start four years later and there's a reason why we’re meeting a new cast. We keep the 'Transformers' the way they were. It's just four years later. There's a reason the Transformers are redesigned. We're trying to broaden the franchise and give it more places to go." 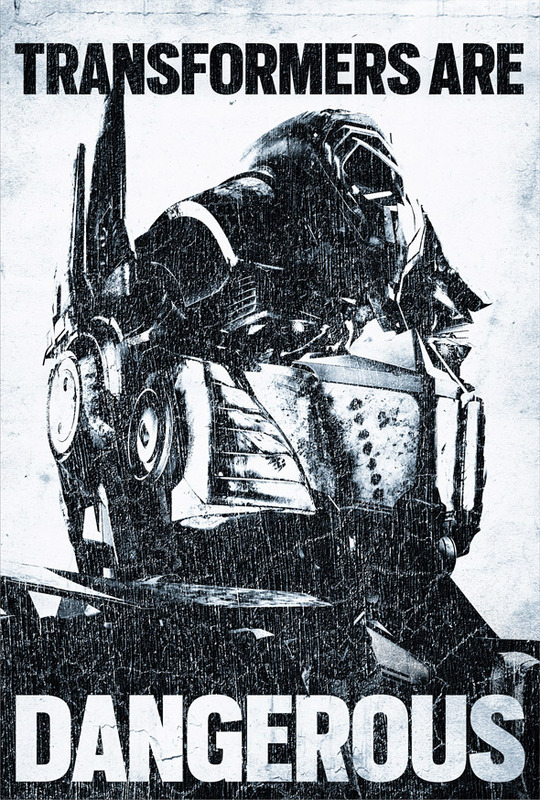 Paramount will release Transformers: Age of Extinction in 3D in theaters everywhere June 27th this summer. No more Autobots! Stupid humans. They never learn. You mean Michael Bay or audiences?